I almost just want to say Fontest, but I won't. Anyway, you only have three more days to submit your guesses for our contest. Right now we only have two. I'll admit, that makes me sad. So if you submitted anything at this point, even if you only got one right, you'd still be eligible for a prize. Again, here are your picture, rules and prizes. 2. 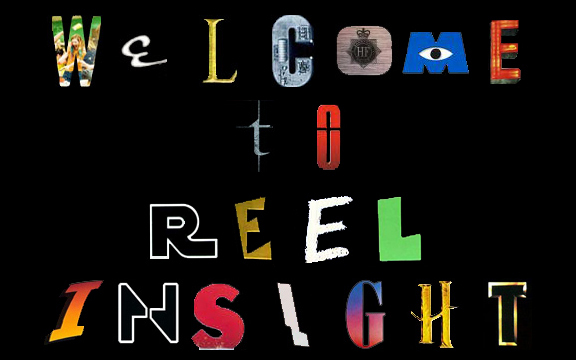 Send answers to the RI email, reelinsight[at]gmail[dot]com, by Friday April 13th. Subject: Poster Contest. Please provide your name and site, if applicable. 3. If a font is from a franchise, just name the franchise, instead of trying to name the individual movie. 4. Winners will be determined by the amount of correct answers. If there is a tie, we'll come up with a tie-breaker. Speed is not a factor. 5. In order to get more people to literally like us, you have to follow us on Twitter or like us on Facebook to be eligible. Thanks to Joel for the idea! 3rd: A guest spot on the podcast!